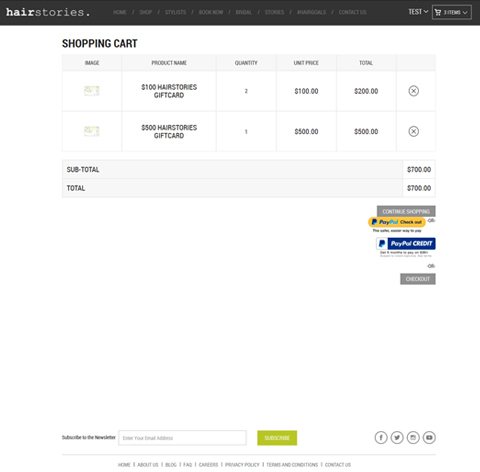 Hairstories is one of the top e-commerce portals of today. 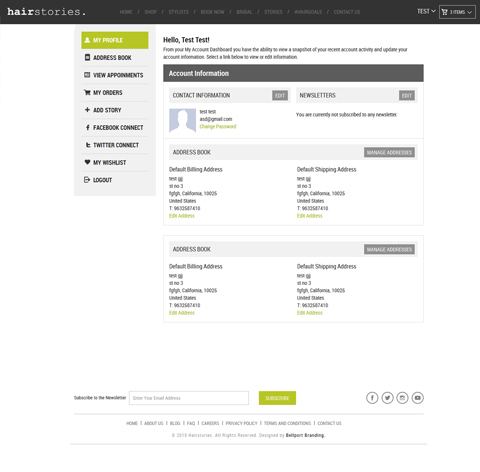 On this portal, the customers purchase cosmetics from the website and book appointments with different hairstylists. Apart from offering these functionalities, the client's portal enabled the customers to purchase the products from the website using a shopping cart. The client's team is always dedicated to creating an inspiring success story in the world of fashion e-commerce. 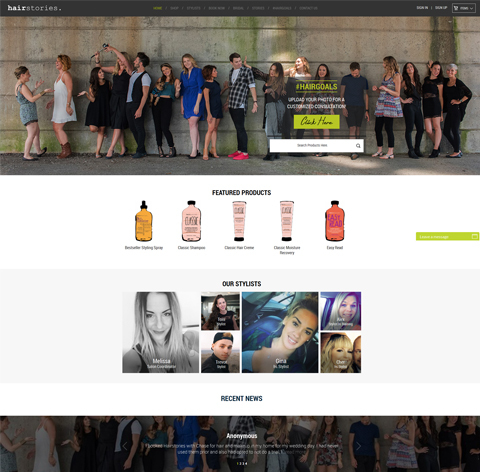 The client was looking for a trusted partner for creating an e-commerce portal that could seamlessly buy and sell a variety of cosmetics products as easily and quickly as possible. 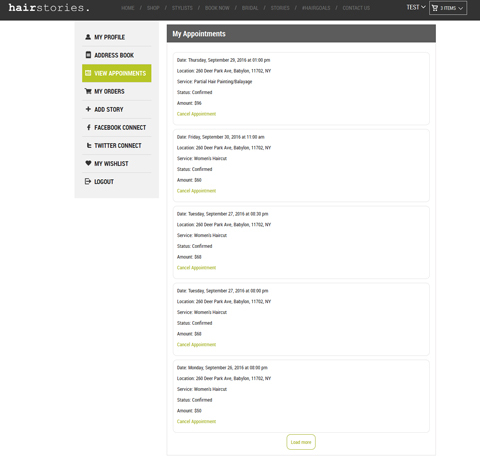 Besides, the client wanted our team of developers and designers to implement a dedicated Booker API that will enable the portal's visitors to book an online appointment with the salon. In short, the client engaged with our team to do the following tasks. The client brought our team of Magento CMS on board. Since the project was in mid-development, this team was responsible for customizing the existing e-commerce outlet in full. Our team included a range of senior executives for this project. In the middle of the existing engagement, we secured a newer opportunity from the client. For this purpose, we implemented different front-end and backend technologies. Backend Our team used a Magneto CMS for building a powerful, flexible e-commerce portal. The portal, along with the booking API, was designed in a way that the existing functionalities were not hampered by the newly developed processes. Development Process For developing this platform, our team followed a time-honored development process. This process was tweaked as per the project's requirements. 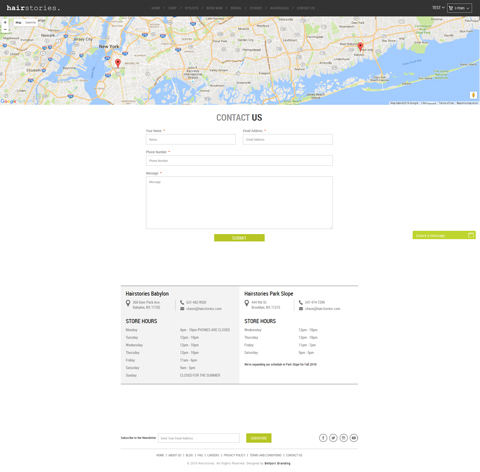 Following were the steps that we followed for developing this portal and the booking API. By following these steps, our team made sure that the project was developed within time and budget allotted by the client. Our team always gave importance to covering every single project milestone, no matter how small it was. It was a terrific piece of art work done by Flexsin and Beyond my expectation. Thank you Flexsin!.. Since we completed the projected within the allotted time frame and exceeded the client's expectation, we got a new opportunity of developing an API in the middle of the project. Our team made sure that no client feedback was ignored. This dedication toward the projected enabled us in forming a lasting relationship with the client even after the engagement came to a close. Below, we have mentioned some of the benefits that the client reaped with this engagement.